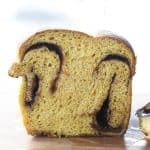 Visit our Bread Recipes page for more fantastic homemade breads like our Pumpkin Cinnamon Swirl Bread! Pumpkin Cinnamon Swirl Bread is an irresistible golden-orange hued, soft, fine-crumbed bread with a decadent swirl of molten buttery cinnamon sugar. Eaten thickly sliced and warm it is divine. When you take those slices and toast them in a frying pan with a touch of butter, though? Whoa. We’re talking about a thick, cinnamon sugar slice of heaven on earth. I know some people think there’s a pumpkin eating season, but I eat it all year long. 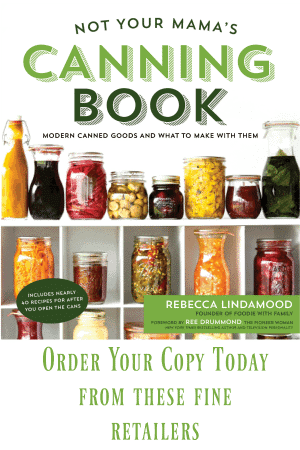 Canned pumpkin is easy to find and it’s inexpensive and, darn it, it just tastes good. It is packed with nutrition which really is neither here nor there when we’re talking about Pumpkin Cinnamon Swirl Bread, but it’s good to know your sweet, cinnamon swirled buttery breakfast bread has some nutrition in there, somewhere, isn’t it? Don’t be tempted to slide the loaf pans directly into the oven. Be sure you have them on a half sheet pan or a quarter sheet pan with a rim. 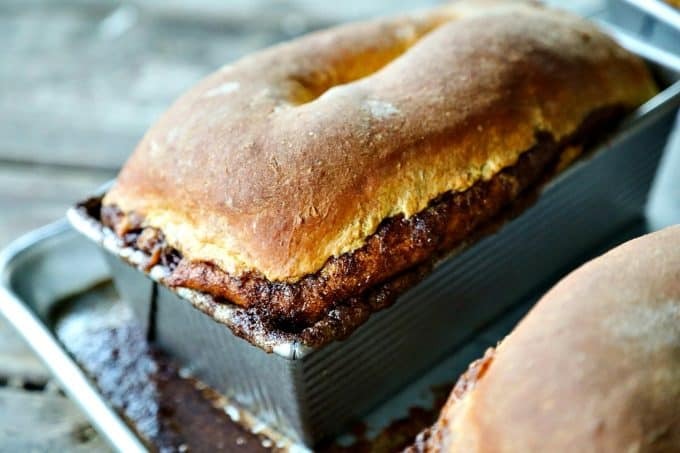 The buttery cinnamon sugar does tend to bubble out and over the edge of the loaf pan and that will smoke if it hits the bottom of your oven. Just look at the photo above for proof. Our Pumpkin Cinnamon Swirl Bread recipe make two loaves. If you cannot eat them both in four days, please wrap a completely cooled loaf tightly in a double thickness of plastic wrap, then in a double layer of foil. Label and freeze for up to 6 weeks. This Pumpkin Cinnamon Swirl Bread makes the most divine toast with one word of warning. You’re not going to be happy if you make the toast in a regular toaster. Why? All that lovely sugar will drip into the toaster elements and smoke like crazy. You’re better off toasting the bread on a pan in a toaster or standard oven, or on a frying pan with a pat of butter. You’ll be pretty pleased with yourself. Trust me. Pumpkin Cinnamon Swirl Bread is an irresistible golden-orange hued, soft, fine-crumbed bread with a decadent swirl of molten buttery cinnamon sugar. Eaten thickly sliced and warm it is divine. Add the flour, brown sugar, yeast, salt, ground ginger, and ground cardamom to the bowl of a stand mixer fitted with a dough hook or in a large mixing bowl. Quickly stir them together. Add the pumpkin puree, milk, and eggs to the bowl and beat on low or by hand until a dough forms. Knead with the dough hook or by hand on a lightly floured surface until the dough is smooth and cohesive. Cover with a clean tea towel and let rise in a warm, draft-free place until doubled in bulk, about an hour and a half. Gently turn the dough out onto a lightly floured silicone baking mat or counter. Using a bench knife, divide the dough into two equal sized portions. Roll each into a ball. Working with one piece at a time, roll the dough into a 12-inch by 16-inch rectangle. Spread half of the softened butter over the surface of the rectangle, leaving a 2-inch strip butter-free across the top of the rectangle. In a small mixing bowl, whisk together the granulated sugar, cinnamon, and cardamom until even in colour. Sprinkle half of it over the soft butter and gently press into place. Roll the dough into a log the long way, starting at the edge closest to you and ending with the butter-free strip. Gently pinch the dough together to seal the seams. Fold the log in half, seam side up, and fold the ends together so you have an oval. Gently turn it over and place it seam side down in a prepared loaf pan. Repeat with the remaining dough, butter, and cinnamon sugar. Place the loaf pans on a half sheet pan, several inches apart, and place a tea towel over them. Let them rise in a warm, draft-free place until puffy, about 30 minutes. Near the end of the rising time, begin preheating your oven to 350°F. Remove the towel and slide the loaf pans (still on the half sheet pan) into the oven. Bake for about 25-30 minutes, or until deep golden brown and some cinnamon sugar is bubbling out around the edges. Let the bread cool in the pan for 10 minutes before turning out onto a rack to finish cooling completely before slicing. Store the completely cooled bread well wrapped at room temperature for up to 4 days. For storage beyond that, wrap in a double thickness of plastic wrap, then a double layer of foil before freezing. 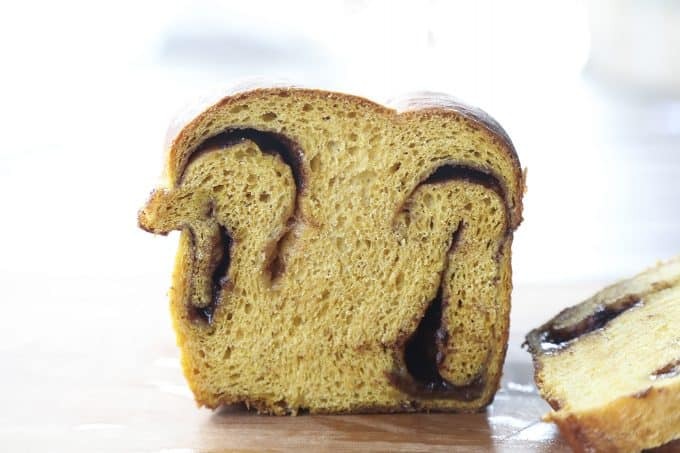 Love this Pumpkin Swirl Cinnamon Bread? 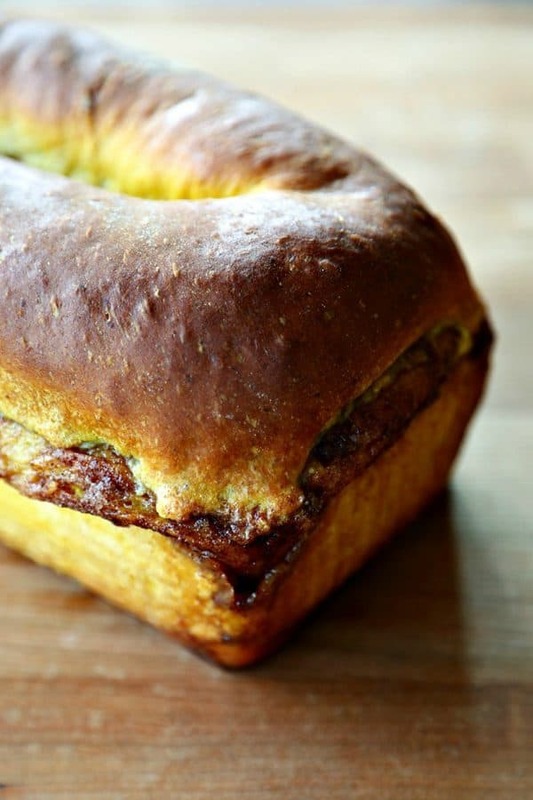 Try these homemade bread recipes! Thanks, friend! I loooooove real pumpkin, so I’m always looking for ways to sneak it into things! Can you use a breadmaker with this recipe? Probably! I haven’t tested it, but I imagine it would work! I’m thinking of French toast!!!! Ooooooo wait!!! Stuffed with a cream cheese and maybe served with an apple sauce or compote!!!! I just made myself hungry. Gonna make this bread on my stay-cation next week if the weather stays cool. 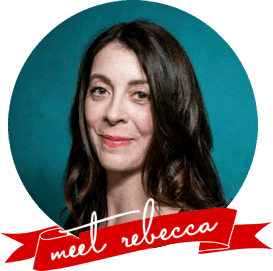 Hi, Rebecca. Thanks for the recipe! What is the size of your loaf pan? Hi Rimma, and thanks! My loaf pan is 8.5 x 4.5 x 2.75! “OMG! This bread is amazing!” — my 17 year old daughter as she and her brothers (whose mouths were too full to intelligibly speak) devoured one loaf in one sitting. Thank you for sharing such a great recipe with us.